EY Foundation India and India Paryavaran Sahayak Foundation have come up with a cost-efficient and scalable solution. The project involves spreading awareness and driving usage of in-field straw management practices among farmers, to reduce the air pollution caused due to crop residue burning. 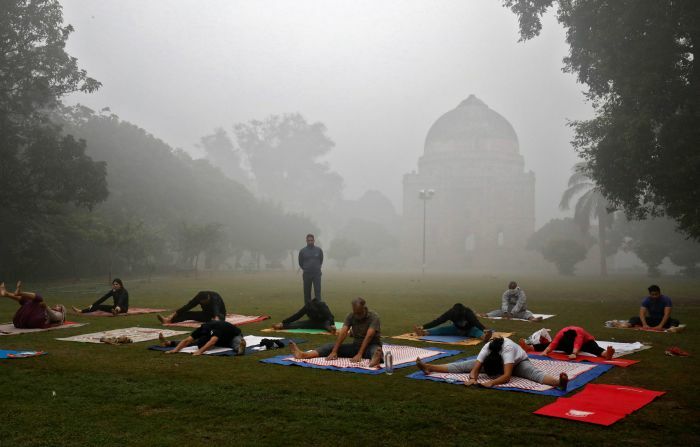 Come November, several parts of North India will gear up for what's become the new normal now -- smog. This environmental and health hazard has been often linked to the practice of stubble burning that's common among farmers across north India. Due to the absence of economically viable and convenient solutions, the farmers are left with no choice but to burn their crop remains. According to the National Academy of Agricultural Sciences, nearly 23 million tonnes of rice residue is burnt every year, releasing 34 million tonnes of carbon dioxide emissions, and engulfing large parts of north India with thick layers of smog. To address this issue, the EY Foundation India, the not-for-profit arm of Indian member firms of EY Global, along with India Paryavaran Sahayak Foundation has implemented a cost-efficient and scalable solution to address the air quality issue. The grants provided by the EY Foundation will be used to spread awareness and drive usage of in-field straw management practices among farmers to reduce air pollution caused due to crop residue burning. The first phase of the project will cover over 300 villages in five districts of Punjab, which have been observed to have high prevalence of crop burning. Last year, paddy was grown on around 30 lakh hectares of agricultural land in the state, generating almost 19.7 million tonnes of paddy straw. Of this, almost 22 per cent was used in biomass-based power plants, cardboard mills and as animal fodder. The rest was burnt. A total of 43,660 cases of crop residue burning were recorded using satellite imagery. "We hope through our awareness campaigns we will be able to enlighten the farmers who have till now not adapted to a different strategy," says Sridhar Iyer, national director, EY Foundation India. The idea that both the organisations are cashing in on is to involve the farming community whole-heartedly. "We will do roadshows and talk to the farmers about alternative methods of stubble burning. We will take them to other farms and show how some farmers have already adopted the strategy," says Ritesh Bhatia, CEO, IPS Foundation. Bhatia feels that the farming community has since the beginning been apprehensive about using alternate technology. "They feel their yield quality will take a backseat while cost of production will go up," he adds. That the technology is not available uniformly across the states, and is not being promoted at the right level, is also stopping farmers from taking the route. The cost of using a straw management system and happy seeder -- the two alternate practices -- is comparable to the overall costs incurred by the farmers in making the land ready for cultivation after burning the crop residue. The system is estimated to not only help in increasing average yield of wheat by 2-4 per cent over a period of time (as compared to conventional methods) but also lead to savings in water while improving soil health. Over the next two years, IPS Foundation expects reduction of carbon dioxide emissions by 3 lakh tonnes and water savings of 48 million litres. For educating the farmers, the organisation has devised a two-pronged strategy. First being awareness creation wherein the farmers will be taught about the technology, scheme and the machines that they have to use. Experts from Punjab Agricultural University and the agricultural department of Punjab have been roped in for the sessions that will also include first-hand experience of farmers who have already adopted the new technology. The second approach is through below the line activities that is, street plays and wall paintings, and working closely with small farmer groups. "A farmer knows that they have to adopt this methodology especially after the Supreme Court order," says Iyer, adding that they only need people to share their experiences. "We have started with a 45-day training that will go on till September-end as October is the harvest season. The work is on in five districts with over 160 villages being a part of it," says Bhatia, adding, "We are targeting 100 such farmer sessions and by end of 2018, we are hoping to target 100,000 farmers in multiple ways." Pollution: Millions die young every year!